One week down, two and half more to go! 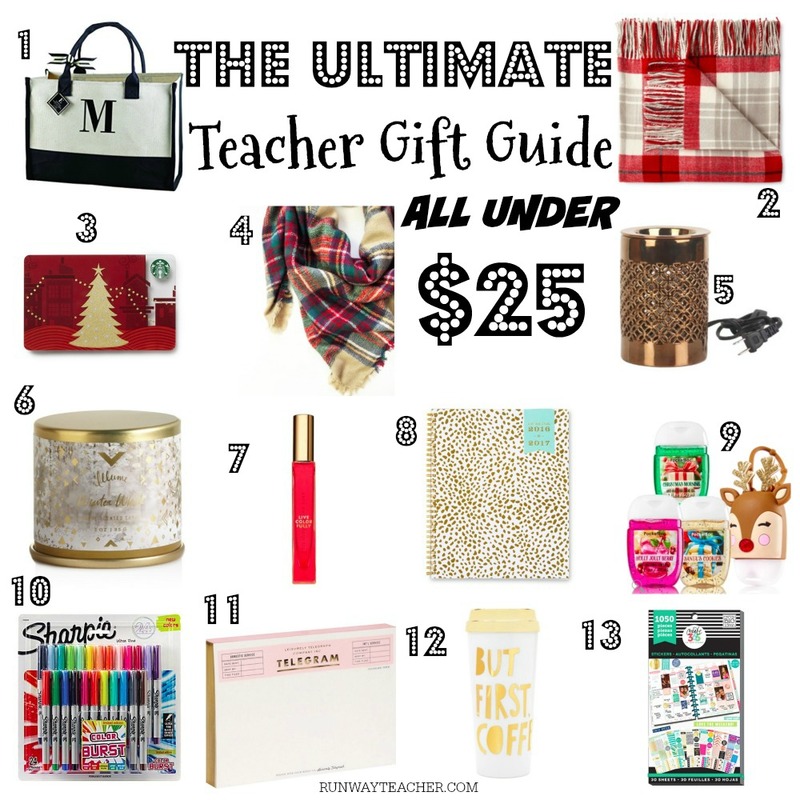 My co-workers and I already talking about our secret Santa gift exchange and I of course cannot forget to make an ultimate gift guide for Teachers! We all know that teachers deserve much more, but something small goes a long way, even a simple thank you! Gift exchanges at work are always fun and it is great way to ease our minds as we approach benchmark. I am truly blessed to work with amazing and hard working teachers and I always try to make it point to recognize their efforts. I created a Teachers Gift guide to help you get a glimpse that will surely make a teacher smile this Christmas, whether it’s for a colleague, friend, or your child’s teacher. Most items I included are items that I know most teachers will probably utilize in class and all gifts are under $25! Teachers are forever on a go and have very little time for them selves now that everything in the 21st century requires teachers to be more than just teachers. Over the past 4 years of teaching I have learned that teachers truly have the biggest hearts and probably the most unselfishness people out there. They always give so much and expect very little. Do you all have any teachers in mind this Christmas and what makes this teacher special? Share and Pin!